During the first few weeks of middle high, a classmate begged Leslie to help out the basketball team. On her first day of basketball tryouts, team members were told to split into two groups for layup drills: lefties and righties. Leslie was the only lefty in the group, so from then on, she decided to become right-hand dominant so she would not have to stand in a line by herself. That decision worked to her advantage, as she became ambidextrous. In eighth grade, she transferred to a junior high school without a girls' basketball team, and joined a boys' basketball team. Her success there contributed to her confidence in her playing abilities. At the age of 14, before Leslie had even started high school at Morningside, she received more than a hundred college recruiting letters, including some from top Division I programs at the University of Tennessee and Stanford University. Leslie continued her education in 1986 by enrolling at Morningside High School in Inglewood, California. She made an immediate impact on the basketball program, starting every game for the girl's varsity team. She also found time to join the volleyball team and compete in track and field. She ended up being a state qualifier in the 400-meter run and the high jump. By the time she was a sophomore in high school, she was able to dunk the ball in the open court, even though she was not able to palm the ball. She was her team's leading scorer and rebounder and led them to the 1989 California state championship. Leslie was so talented that she was invited to participate in the USA's Junior World Championship team. Entering her senior year, she developed into the top player in the country. She led her team to a state championship averaging 27 points and 15 rebounds per game. Leslie decided to stay close to home and attend women's basketball powerhouse the University of Southern California from 1990–1994. She graduated from USC with a bachelor's degree in communications and later completed her master's degree in business administration from the University of Phoenix. Leslie played in a total of 120 college games, averaging 20.1 points, hitting 53.4% of her shots, and knocking down 69.8% of her free throws. She set the Pac-10 Conference records for scoring, rebounding, and blocked shots accumulating 2,414 points, 1,214 rebounds, and 321 blocked shots. She also holds the USC single season record for blocked shots (95). During her college career, USC compiled an impressive 89–31 record. They won one Pac-10 conference championship and earned four NCAA tournament appearances. Leslie was honored with All-Pac-10 recognition all four years, as well as becoming the first player in Pac-10 history to obtain first team all four years and earn the Pac-10 Rookie of the Year award in 1991. Leslie was also honored on the national platform by earning the national freshman of the year award in 1991. In 1994, she won multiple national player of the year awards—the Naismith College Player of the Year award, the USBWA Women's National Player of the Year award, the Honda Sports Award for basketball, and the WBCA Player of the Year award. In 1992, 1993, and 1994, she earned All-American Honors as well. The WNBA was incorporated in 1996 and began playing in 1997. Leslie was drafted on January 22 by the Los Angeles Sparks as part of the Initial Allocation phase of the draft. She helped the Sparks make the playoffs five consecutive times, but the team did not win a WNBA title until 2001. That year, Leslie was named the 2001 Sportswoman of the Year (in the team category) by the Women's Sports Foundation. On July 30, 2002, Leslie became the first woman to dunk the ball in a WNBA game. That same year she became the first WNBA player to score over 3,000 total career points and contributed to the Sparks winning their second straight WNBA championship that season. Two seasons later, she became the first player to reach the 4,000-career point milestone. Leslie remains the Sparks' career scoring and rebounding leader, as well as the all-time league leader in rebounds. Within that same season, she also became the third player in WNBA history to record a triple double, when she had 29 points, 15 rebounds and 10 blocks. In the 2005 WNBA All-Star Game, Leslie had also become the first WNBA player to dunk in an all-star game. On August 11, 2009, Leslie became the first player to score 6,000 points in a career. Earlier that month she was the first player to reach 10,000 career PRA (points + rebounds + assists), a statistic fundamental to the WNBA "Pick One Challenge" fantasy game. Lisa Leslie announced her retirement effective at the end of the 2009 season on February 4, 2009. The Sparks held a farewell ceremony for Leslie during their final home game of the season in September. She finished holding the league records for points (6,263), rebounds (3,307) and PRA (10,444). In 2011, she was voted in by fans as one of the Top 15 players in the fifteen-year history of the WNBA. In 2016, she was voted into the WNBA Top 20@20, in celebration of the league's 20th anniversary. Leslie was named to the USA Basketball Women's Junior National Team (now called the U19 team). She was 17 at the time, the youngest player on the USA team… The USA team finished in seventh place. Leslie was a member of the USA team competing at the 1991 World University Games held in Sheffield, England. Leslie was the second leading scorer on the USA squad, averaging 13.0 points per game, and helped the Tara VanDerveer-coached team to an 8–0 record and the gold medal. She competed with USA Basketball as a member of the 1992 Jones Cup Team that won the Gold in Taipei for the first time since 1987. Leslie has made four consecutive Olympic appearances, and has earned four gold medals. She was the second female basketball player ever to earn that many gold medals, after Teresa Edwards. 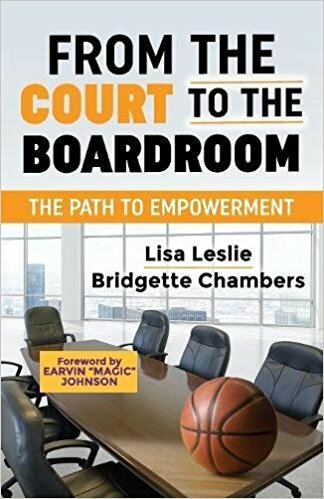 Leslie has also made appearances with the United States national women's basketball team where she won gold medals in 1996 and 2000, and has also earned a world championship. Leslie scored 35 points against Japan in the semifinals of the 1996 Olympics to set an American Olympic women's scoring record. Leslie is one of seven USA Basketball's three-time Olympians, and one of two players with four gold medals. She led the U.S. team in scoring during the 2004 Olympic Games. During her third Olympic completion, she became the USA's all-time leading scorer, rebounder, and shot blocker in Olympic competition. Every time she has competed in a major international event, she has compiled double-digit scoring averages. Leslie, at age 20, was also the youngest player to participate at the USA Olympic Trials in 1992. During the 2008 Beijing Olympics medal awards, despite being requested by officials not to, Leslie wore her gold medals from past Olympics while being awarded her team's current win. Leslie's actions were viewed by members of the Australian national team, her opponents in the gold medal game, as grandiose and poor sportsmanship.